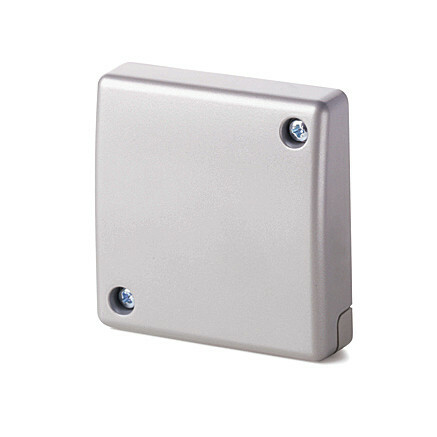 Product information "GM775 Seismic detector"
The GM775 offers the highest degree of security and performance within the GM7xx family of seismic detectors. It is designed for high-risk applications and is suited not only for use on steel and concrete, but also on lightweight synthetic materials. Intelligent signal processing enables the level of detection sensitivity to be custom-set, thereby reducing the risk of false alarms. The anti-tamper for the detector cover will detect opening of the detector, and the anti-tamper on the back of the detector will detect forcible removal. The GM775 has an electronic alarm output to connect to the alarm indicator system GMYA7. Vanderbilt`s powerful GM7xx- series is the result of over 45 years engineering experience in the field of seismic detectors. Our products are specifically designed for round-the-clock monitoring of safes, ATMs, strong rooms or any other environment with a high concentration of valuable assets or dangerous goods. All known types of intruder attacks generate unique vibration patterns. Their characteristic values such as timing, frequency and amplitude are detected and analysed using Vanderbilt`s patented Senstec® technology. This technology also ensures that environmental disturbances are ignored, and false alarms eliminated.